Change itself is less complicated than the tasks required to align people to it. Time itself (or at least as we measure it) changed once. But in my house, that required adjusting four analog clocks, four digital clocks, three watches and two car radios. Change results in a temporary efficiency loss. The parking lot at church was a little thin today, and I bet morning traffic will be lighter than usual at times when it was previously light. People are sluggish as they acclimate to waking earlier. 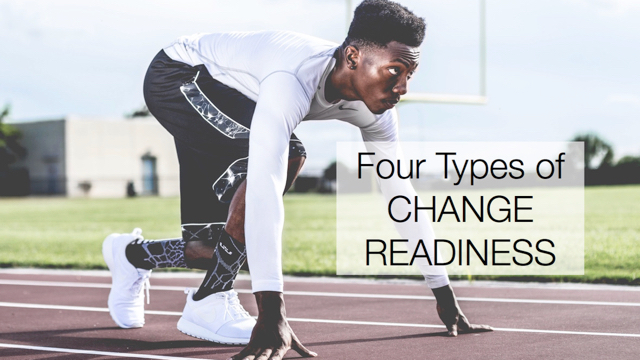 No matter how well planned, anticipated or small, change requires an adjustment period. People change on their own schedule. Although the time change is instantaneous, people will make the change when it is most convenient for them. I don’t know anyone who would set an alarm for 2:00 a.m. so they can wake up and move their clocks forward. Some people set their clocks before they go to bed, and others complete the task in the morning. My husband changed his watch on Saturday morning because he had to wake up early on Sunday morning, and wanted to have more time to adjust. Even after hearing the benefits and seeing that everyone else is on board, some people will still choose not to participate. Most of the State of Indiana stays on Eastern Standard Time year-round, preferring to change their time zone instead of their clocks. During Daylight Savings Time, they are on Central time. Inquiry: How is your organizational change more complicated than it seems? Feel free to chime in by adding a comment below.